If you are a bake lover who loves to make delicious pancakes, muffins, cakes and more, then a batter bowl with handle is a must have for you. Batter bowls are so handy for mixing, pouring, and storing batter for cakes, pancakes, crepes, waffles and more. The handle makes it easier for pouring. Easy to use, convenient and multi-functional, batter bowls with handle make a great addition to your kitchen. 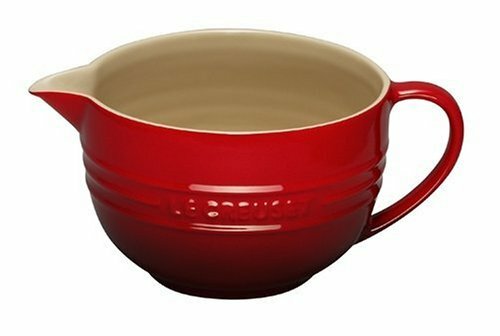 Looking for a maxing bowl with a handle for easy pouring batter into cake? 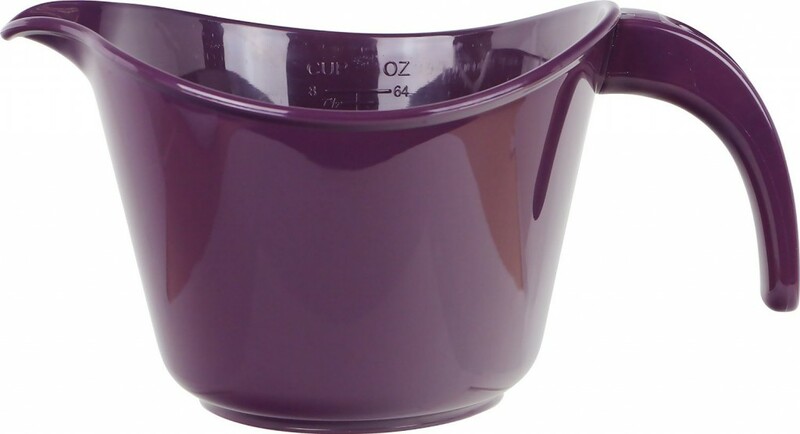 The Norpro Grip-EZ 4 Quart Melamine Batter Bowl is for you. Lightweight, durable and stain resistant, this batter bowl is great for anyone who loves making pancakes. The bowl features a rubber ring on the base to keep it from sliding around on the counter. Dishwasher safe for effortless cleanup. Capacity 4 quarts/3.8 liters. Measures 9.5 inches/24cm. Make it easy to measure, add, mix and pour ingredients for pancakes, muffins, cakes and more with the OXO Good Grips Batter Bowl. The bowl features the bright red, permanent measurement markings on the inside of the bowl for easy reading even with thick batters. High side walls prevent splatter when mixing. You can enjoy easy, drip-free pouring thanks to the wide lip and spout. You will also love its non-skid base which stabilizes Bowl while mixing. Dishwasher safe. 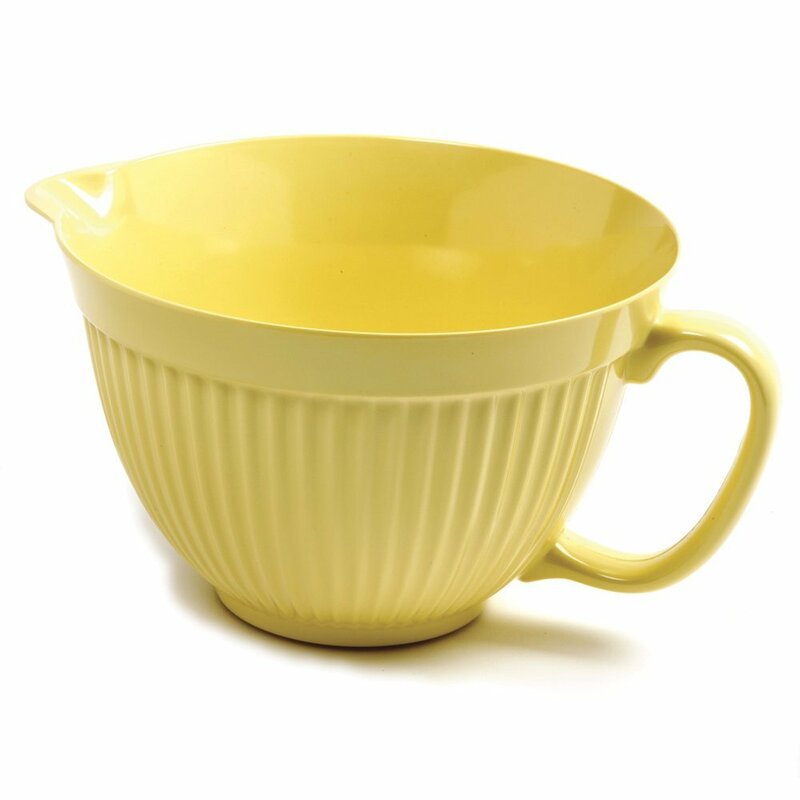 Well made, lightweight and durable, the Calypso Basics 2-Quart Microwave Batter Bowl is exactly what you need for easy pouring. 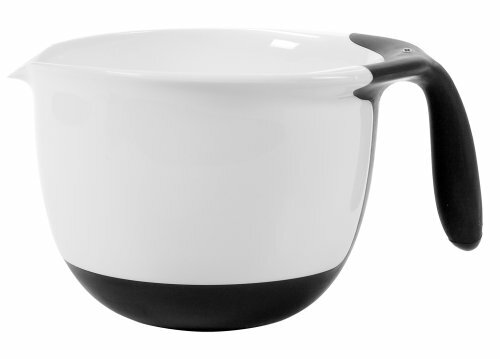 The bowl has 2-Quart capacity with concaved handles for a better grip. Double sided measurements in both cups and ounces for added convenience. Anti-skid base keeps the bowl in place. Made out of polypropylene and is BPA FREE, the bowl is safe for microwave, freezer and dishwasher. 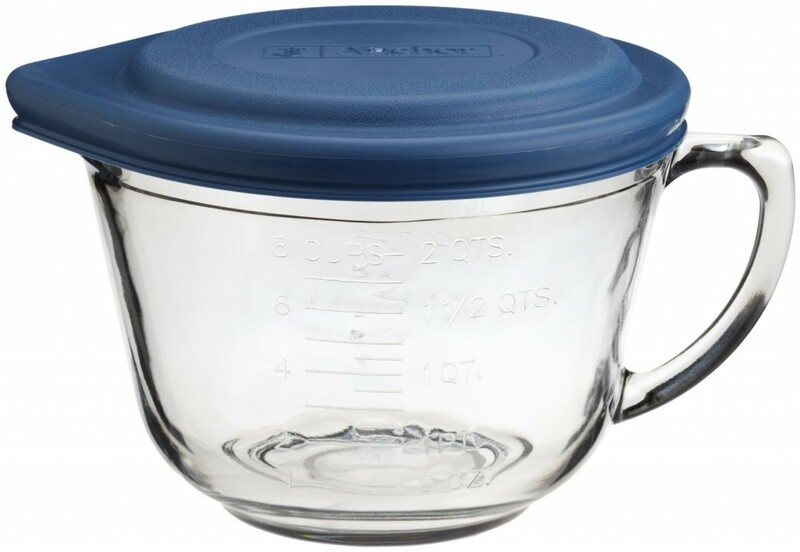 Great for measuring and for mixing and storing, the Anchor Hocking 2 Quart Glass Batter Bowl With Lid is multi-functional piece for your kitchen. It is made of glass that is ovenproof and microwavable. The measurement gradations are raised for easier viewing. The bowl also comes with a handy snap-on plastic lid for storing batters and more. Dishwasher safe. Made in the USA. 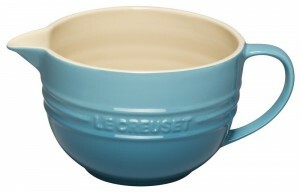 Complete your Le Creuset collection and baking tools with the Le Creuset Stoneware 2-Quart Batter Bowl. Beautiful and useful, this batter bowl comes with a sturdy handle to make mixing and pouring easy. It features non-porous enamel finish and resists odors, staining, chipping, and cracking. Wide pouring spout for easier pouring. Dishwasher-safe for quick and easy cleanup. Measures approximately 10 by 7 by 4-3/4 inches.